We fix and repair all makes and models of laptops. Some of our most common are screen repairs, hard drive replacement. Reloading the operating system to give your machine that brand new feeling again. Troubleshooting, virus and malware removal, system tune ups and upgrades. Laptop dc socket repairs, where your laptop will no longer turn on or charge/power up. Overheating laptops, which need stripping down to remove the dust clogging up the fan and renewing thermal paste to help keep it cool. Macbook repairs with a blank screen that power on are usually failed graphics chip connection. We can reflow the solder under the BGA to correct this problem. Engineers reports are also available for insurance purposes. Tech Medics repair all makes and models of PC’s. 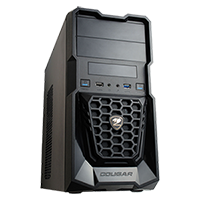 We build our own pcs for customers so rest assured we can fault find and troubleshoot any problem your computer has. If it needs any replacement parts due to faults or simply needs upgrading we can do all of this too. In house on onsite whatever suits you. All of our parts come on a next day basis from local suppliers, so you’ll have minimal down time. Give us a call today if your in need of a computer repair for Poole and Bournemouth. Macs and iMacs are probably one of the most beautiful, well designed computers and to be honest, operating sytem wise they don’t go wrong that often. 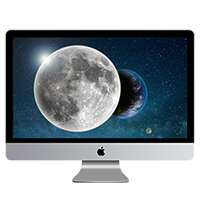 With the majority of our Apple Mac repairs is that it’s usually hardware failures that are more common. Whether thats a failed hard drive, memory (ram) power supply or screen. That’s where we come into help, so call us for Mac repairs in Poole and Bournemouth.